1. They can be planted! Your wedding invitations are embedded with wildflowers seeds, therefore sprout wildflowers 🌼 directly from the paper (scroll down for picture). Garden herbs plantable papers are also available, embedded with basil or tomatoes seeds for example. you are not just respecting the environment, you are re-creating it. 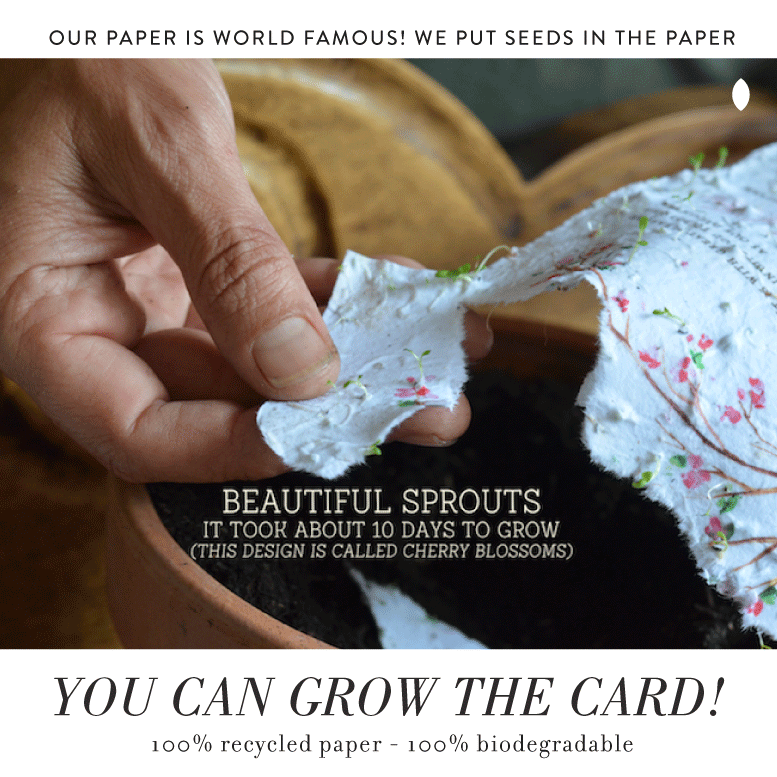 Less waste to begin with (100% recycled paper ♻️) with natural dyes and organic printing process, your invitations will disintegrate in nature (100% biodegradable) and grow flowers or garden herbs, thus, create oxygen and life. Your wedding invitation is the first impression you will make on your wedding guests. Your plantable wedding invitations are sure to be the most unique invitation your guests have ever received. Everything about the style and presentation of these unique invitations will amaze you and your guests. They will be surprised at the style and the idea of a seeded paper invitation. In fact, we've actually had guests call to inform us of their wonder at the 'wow effect' created by these invitations. The most awarded plantable wedding invitations in the world. 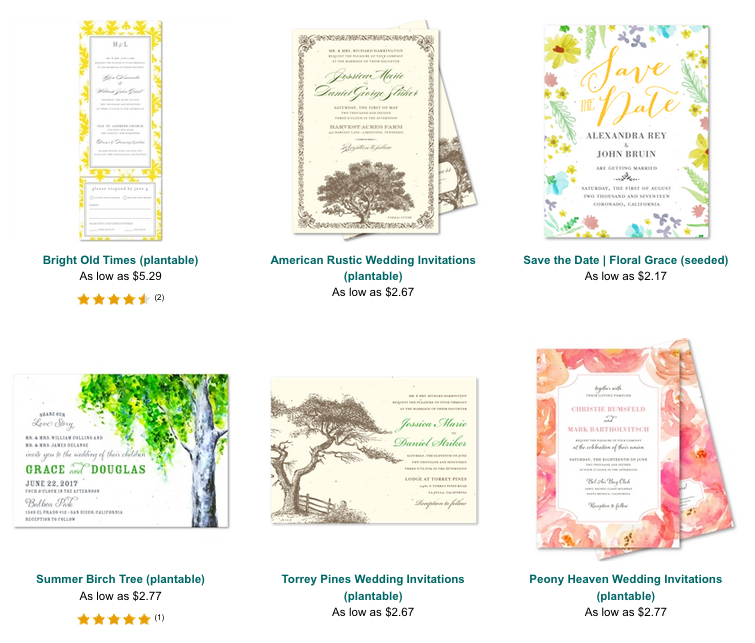 [five stars on WeddingWire ⭐️⭐️⭐️ and Yelp] Whether your theme conveys the woodsy rustic style of the outdoors, or the beauty of painted scenery you can find the right invitations to showcase it. Plantable wedding invitations are available in everything from watercolor designs with wildflowers 🌻 to organic trees 🌲 and modern. You get to choose everything about the font from color to size and writing. The entire styling of these invitations is completely unique. 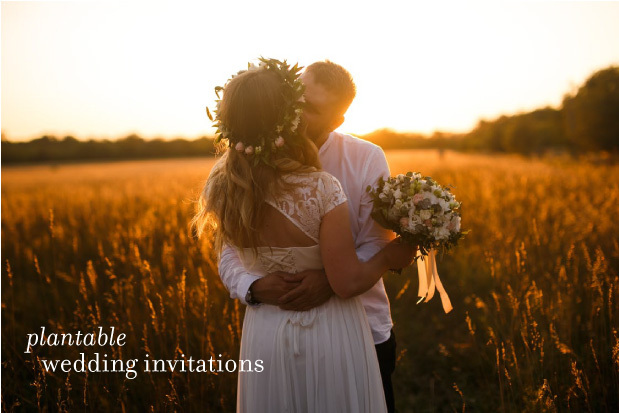 Even better you can even choose from a range of all-in-one invitations which offer an even more specialized style both inside and out as well as an RSVP card. 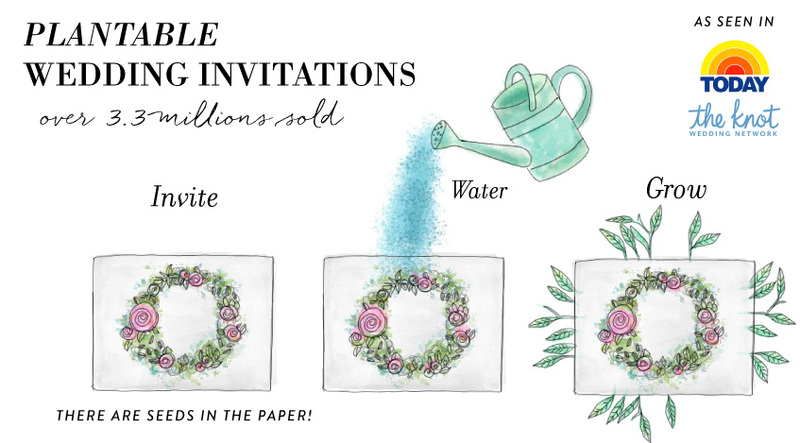 Discover the most famous plantable wedding invitations in the world! How do I plant the seeded paper? How many colors can be print on plantable paper?